THOUGHTSKOTO Thoughtskoto : FVR Resigned. 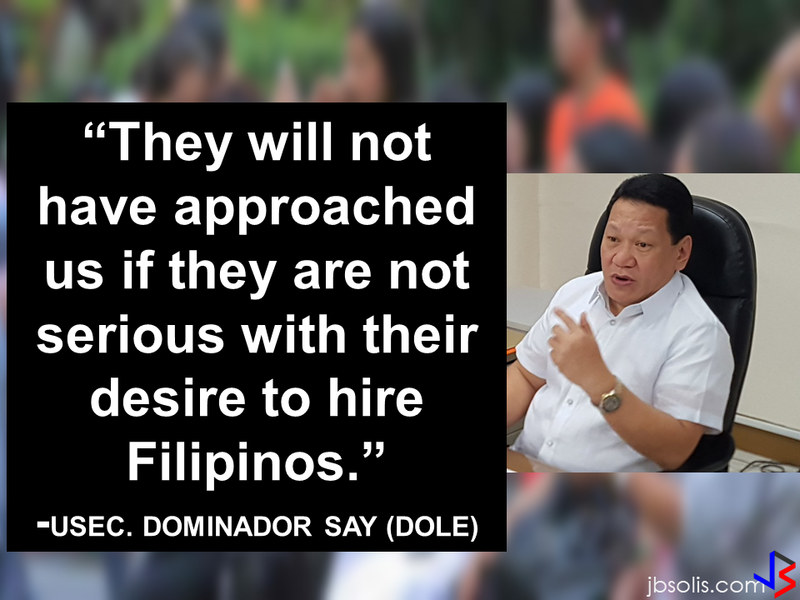 Solicitor General and Netizens Commented Regarding His Resignation. 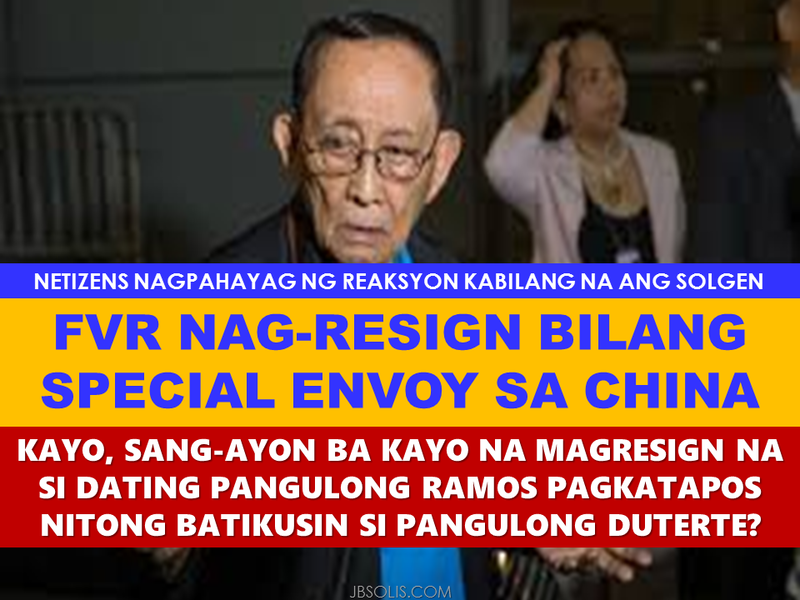 FVR Resigned. Solicitor General and Netizens Commented Regarding His Resignation. The resignation of former President as Special Envoy to China under the administration of President Rodrigo Duterte draws different reactions among the netizens. Former president Ramos was appointed by President Duterte on July as special envoy to China to thaw The Phil-China relations regarding the tension in West Philippine Sea due to territory dispute. "The moment the President came back from China from a successful state visit I resigned as special envoy to China because the officials have taken over," Ramos said. "I've done my job to... break the ice and to help restore the ties of goodwill and friendship," he added. The former president wrote several opinion columns criticizing President Duterte. The netizens experessed various reactions about Ramos' resignation,one of which is the Solicitor General Jose Calida Himself. 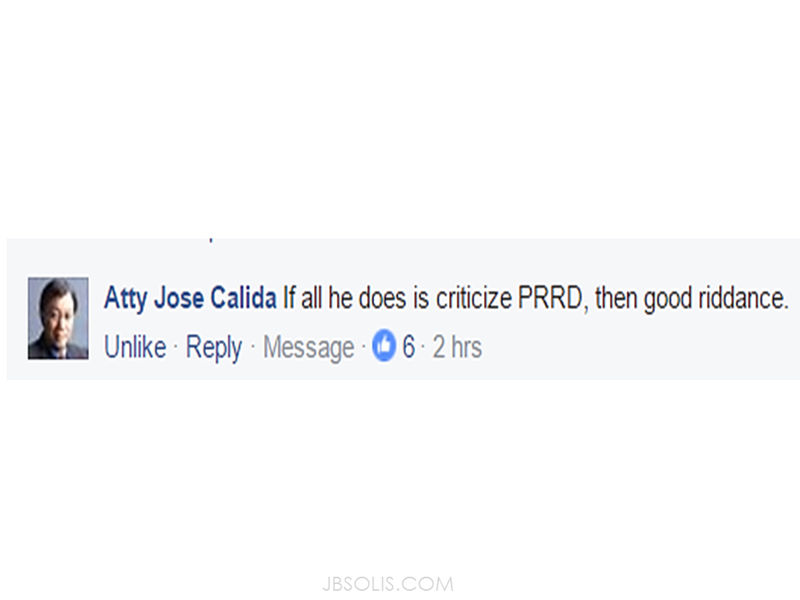 "If all he does is criticize PRRD,then good riddance," he said. Some commenters cannot help but to recall the former president's regime,comparing his leadership to President Duterte,even saying that the country's situation is far better off today than during his term. "Ngaun pa na andami ng magagandang nangyari sa pilipinas,cmula umupo c pres digong safe na lugar nmin...pero cmula naging president ka natapos term mo hanggang bago umupo c tatay digong lalong nabaon sa utang ang pilipinas lalong dumami mga adik lalong dumami corrupt....ngaun mo malalaman ang kasabihan...WATCH AND LEARN!!! Meanwhile,Malacañang said they had not received the former president's resignation yet as of Monday. Communications Secretary Martin Andanar said that they have not received FVR's resignation. "Moreover,it is not true that the former president can no longer have any role in our engagement with China," Andanar said.